John L. Steitz III’s passion for cooking and love for his family’s business was the inspiration for what Steitz’s restaurant has become today. Specializing in homemade German cuisine, Steitz’s also offers a classic American-style menu and our Fish Fry/Boil on Fridays is legendary! Pull up a stool to the original 50 foot wrap-around bar and watch the boats go by on a lazy summer afternoon. It wouldn’t be Steitz’s without ice cold beer! 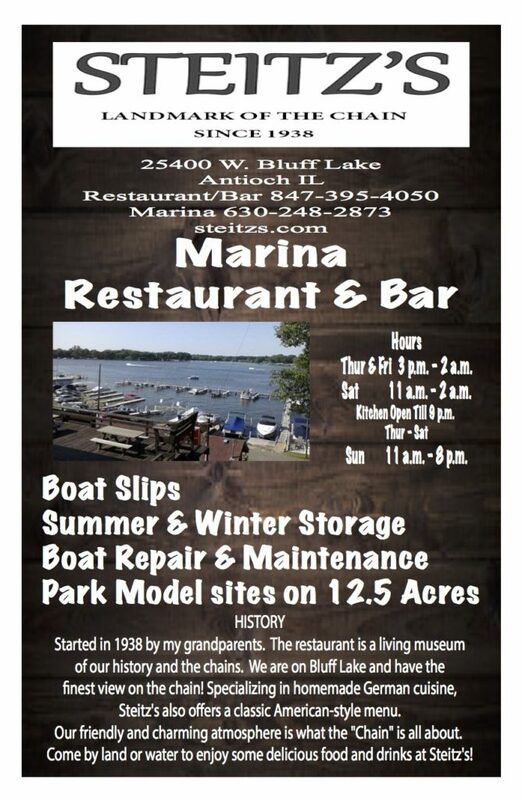 Enjoy the panoramic view of beautiful Bluff Lake from both the dining and bar areas, or mosey out to the deck with additional tables and seating. 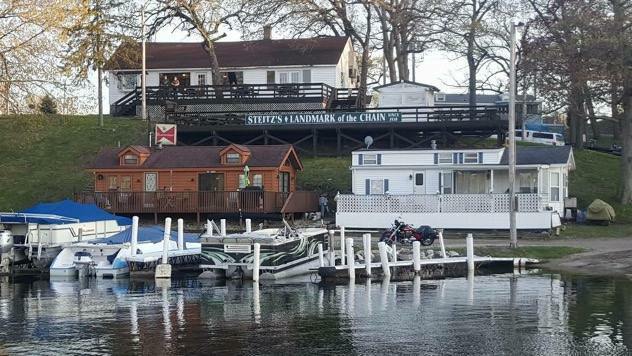 Steitz’s friendly and charming atmosphere is what the “Chain” is all about. Come by land or sea to enjoy eats and drinks at Steitz’s!